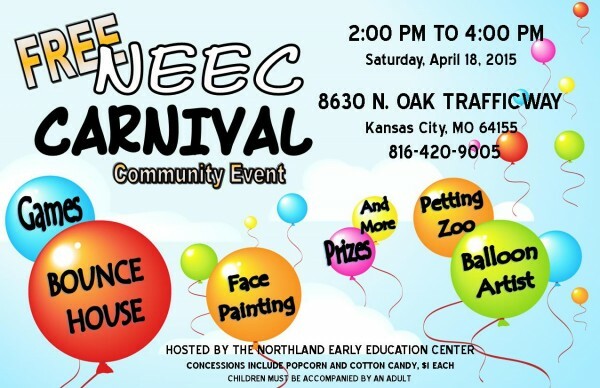 NEEC’s Free Community Carnival is a fun, family friendly event that includes a bounce house, a petting zoo, tricycle races, a truffle shuffle, face painting, balloon artists, a raffle, special prizes and more. 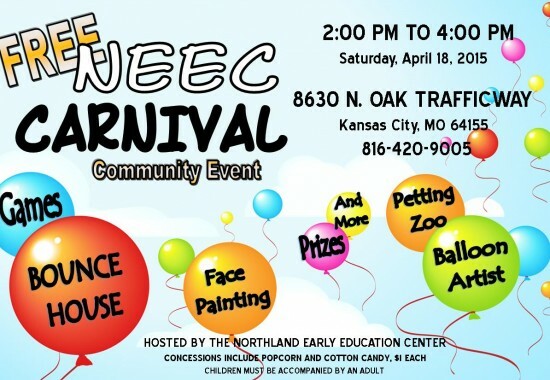 Proceeds from the raffle and concessions will benefit NEEC’s early education and therapy services program for children who have special needs and typical needs in the Kansas City Northland area. Join us on Saturday, April 18 from 2:00 p.m. to 4:00 p.m. at NEEC.